There's something I struggle with. I know what you're thinking "Girl, you got more issues that People". True but underlying most of them is something called Imposter Syndrome. Self-diagnosed, of course. My very non-technical definition of Imposter Syndrome is never feeling like you deserve what you have, not feeling good enough and the feeling of dread that you're going to be found out at any minute. As a result, I feel like I'm always auditioning. I always feel like I have to keep convincing you that I'm doing a good job or that you can trust me to keep doing a good job. I have to constantly prove that I'm smart enough. I'm sure it's super annoying to other people. I try to be aware of it and temper it but sometimes I don't realize I'm doing it until afterwards. Part of this is that I replay almost every conversation I have through out the day. I worry that I said something stupid or offensive. I used to circle back to people to clarify or apologize. I've mostly stopped doing that because it's super annoying. I generally trust that the people who love me will let me know if I've screwed up. 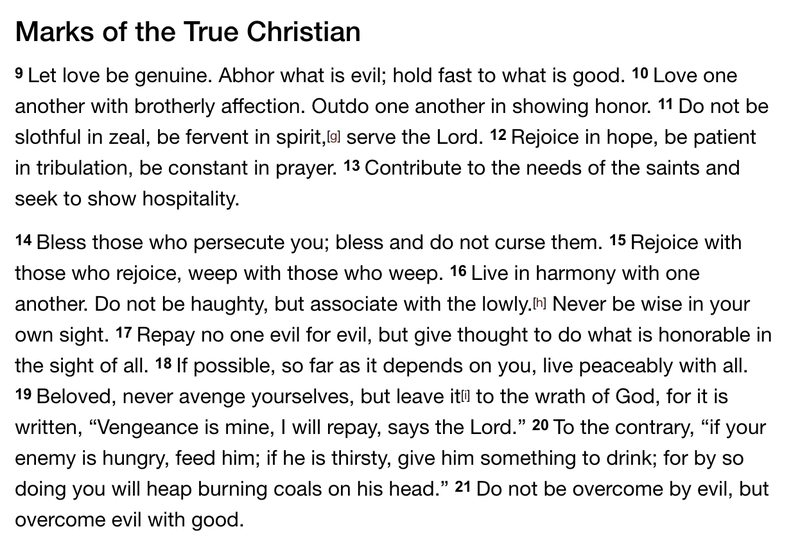 Yesterday morning, Romans 12:9-12 was a part of my Bible study. Of course, the section title caught my eye - marks of a True Christian. 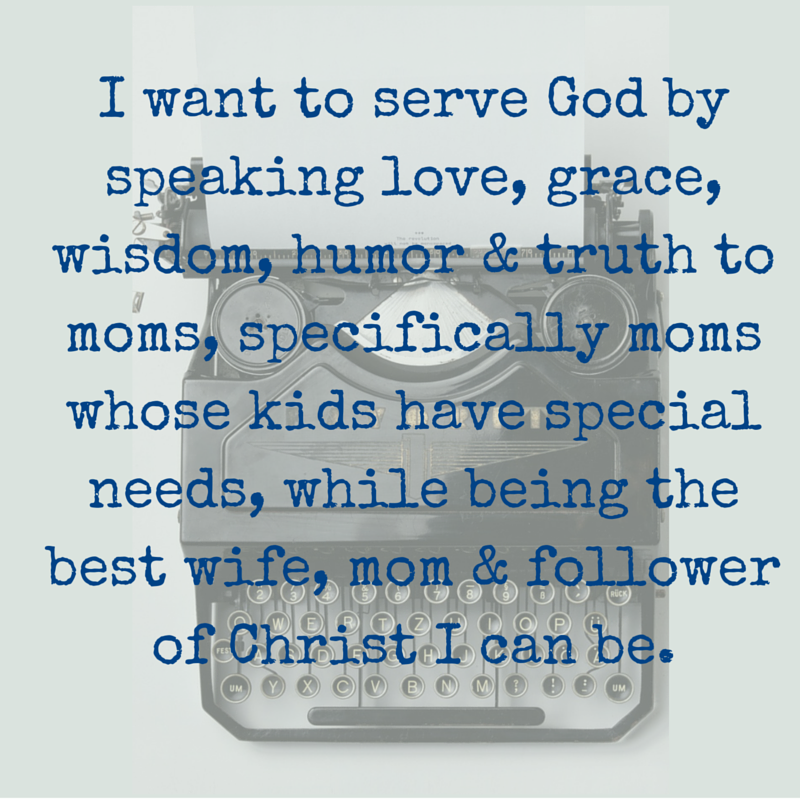 I want to be the best Christian I can be. Not in a legalistic, check all the right boxes way. 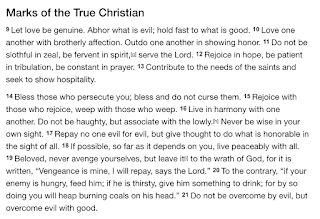 I want to be a true Christian that shows God's love to everyone she encounters. I want to live in light of the love and grace Christ has shown me. I can't do that if I'm worried about being the smartest person in the room or trying to prove to you that I'm worthy of my job or position. My worth is in Christ alone. I know that but I have to believe it and live it. It must have been the last part of verse 16 that caught me - Never be wise in your own sight. 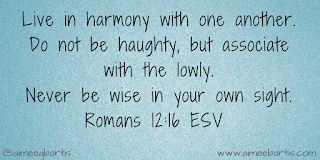 Wisdom comes from God alone. I'm not in control of it. 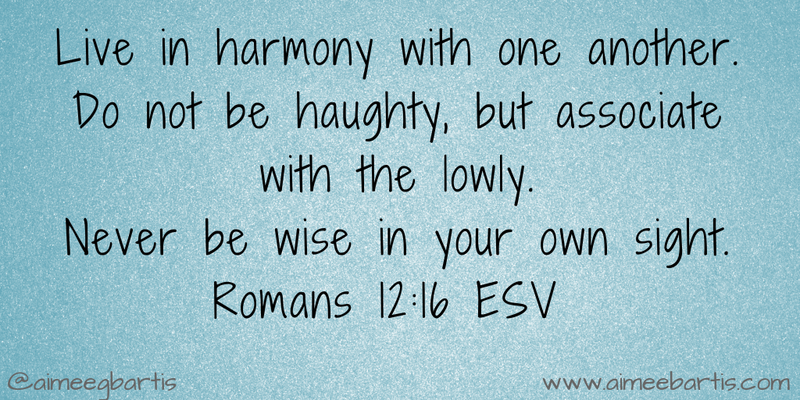 Perhaps if I stop trying to display or control my wisdom, hold it more loosely, God can shine through me more. And that's what I want to be used by God, to influence people for His kingdom and glory. Preach!! You are not the only one. It’s funny that we try to let everyone around us think that we “have it together”, when really we are making ourselves sick internally. Wisdom does come from God and I loved it when you said that “God can shine through me”. He most definitely will and he most definitely has already! You are an amazing person, Amy!! Thank you for being vulnerable.